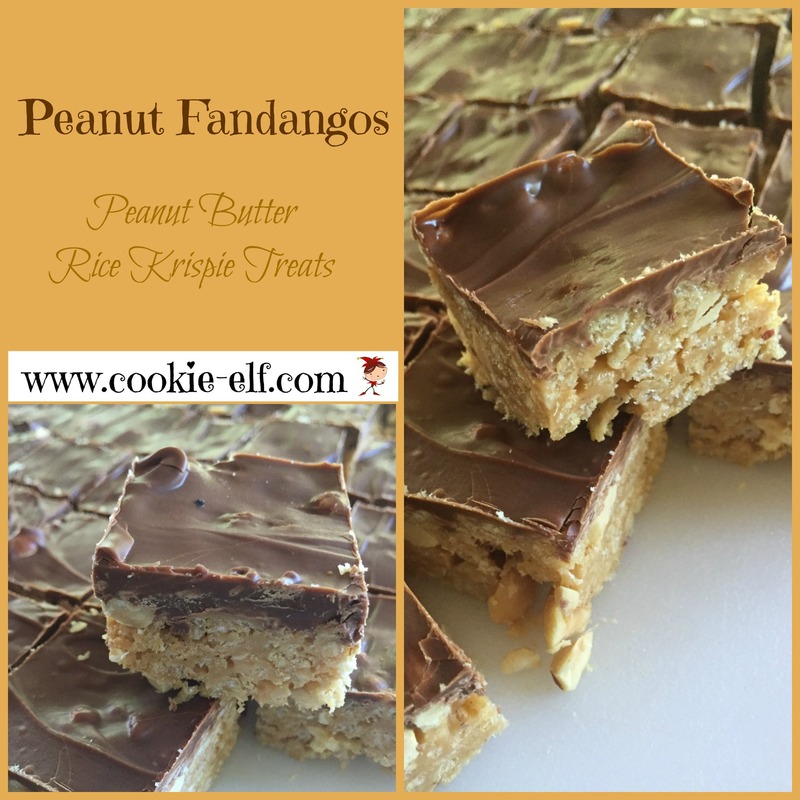 Peanut Fandangos are a Peanut Butter Rice Krispie Treats version of the classic no-bake cookies made from crisp rice cereal. The Fandangos are both chewy and crisp, with added peanut butter and chocolate flavors. They contain no flour, making them a favorite among the gluten-free crowd. Measure rice cereal and peanuts. Combine together in a mixing bowl. Set aside. In a large, microwave-safe bowl, microwave butter on high for 45 seconds or until melted. Remove bowl from the microwave. Add marshmallows and toss to coat. Return bowl to the oven. Microwave on high for 1 ½ minutes, stirring halfway. Remove bowl from the microwave. Stir marshmallows, blending in peanut butter until mixture is smooth. Pour marshmallow mixture into rice cereal mixture. Mix thoroughly to coat cereal and peanuts. Press mixture into the prepared baking pan. In a separate microwave-safe bowl, combine semi-sweet chips and butterscotch chips. Cook on high 1 – 1 ½ minutes until melted, stirring every 30 seconds. Chill cookies in the refrigerator 15-30 minutes or longer. Cut bars into 1 ½ inch squares. Remove bars from the pan. Place waxed paper in between layers to store them. You can use either smooth peanut butter or chunky peanut butter in Peanut Fandangos, but if you use chunky, be sure to eliminate the ½ cup peanuts so the mixture does not become too bulky. You can substitute a 12-ounce bag of milk chocolate chips (2 cups) for the semi-sweet chips and butterscotch chips.